The Business District Alliance of Fort Lee (BDA) introduces their new winter program, ​“Frosty Hour Specials.” Taking place in Fort Lee’s Town Center, the event will begin Monday, February 4th and continue through Friday, March 22nd. Frosty Hour Specials are individualized promotions from 48 businesses, available Monday through Friday featuring dining, retail shopping, beauty, fitness, and specialized services. The concept behind the program, ​Frosty Hour Specials, was to develop an event that included all areas of business in Fort Lee’s Town Center. Business owners customized their own Frosty Hour Special that highlights their most desired dish, drink, salon experience, retail offering or specialized service. 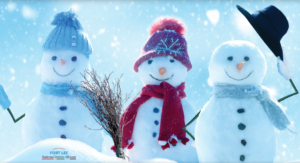 The Frosty Hour Specials are engaging to both businesses and customers because they encourage patronage while providing an enticing diversion during the cold weather months with offers and specials that will help melt away the winter blues.